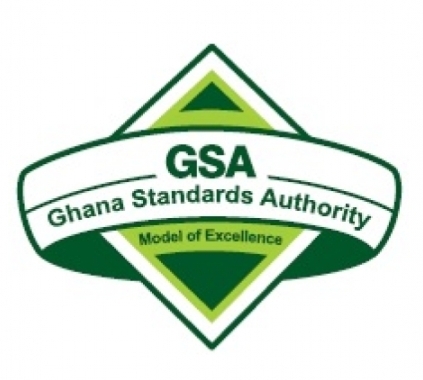 The Ghana Standards Authority (GSA) has engaged smallholder farmers, downstream consumers and top value chain actors in the Upper West Region on ways of cutting down aflatoxin contamination in grains. The engagement was part of the regional launch of National Aflatoxin Sensitisation and Management (NASAM) project, which aims to drive an inclusive agricultural transformation agenda and improve food security through increased knowledge on the impact and management of aflatoxin contamination. Hundreds of local farmers and agricultural sector stakeholders converged at the Upper West Regional library in Wa, where the Director-General of GSA, Professor Alex Dodoo, together with Regional Coordinating Council Chief Director and officials unveiled the NASAM project expected to run for two years. The NASAM project, which aims to reach out to 5,000 farmers and 2,000 value chain actors directly and about 600,000 households indirectly, is designed to strengthen agricultural input systems, technology development as well as boost supply chain activities. It is also expected to lead to increased adoption of agricultural productivity enhancing technologies and reduced impact of agricultural volatility and ensure food safety and security. Professor Dodoo said high presence of aflatoxins in feeds posed grave threat to food security and dangerous to public health and safety. Livestock are also at risk when fed on contaminated aflatoxin feeds. High presence of natural toxins is reported to have been detected in several local products including maize, agushie, chilli pepper, corn meals, tom brown, hausa koko, sorghum, groundnuts, groundnut paste and kenkey among many other grains and cereals in Ghana. “There are high levels of aflatoxins present in grains produced in Ghana, this has led to post-harvest losses and farmers selling their grains at lower prices,” Professor Dodoo said. He added that heavy presence of the toxins in grains produced in the country has led to local producers of grains and derived food products unable to sell their produce on the international market, leading revenue loss to producers. High aflatoxin levels affect the health of consumers as it is known to be the cause of some diseases. 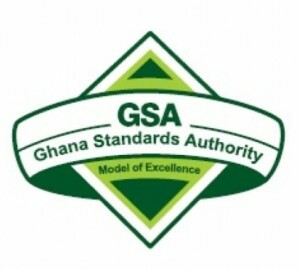 Mr Derry Dontoh, Head of Mycotoxins Laboratory at GSA, said aflatoxins were not visible to the eye and are usually present as a result of commodities being infested by moulds. He added they caused cancer to humans and animals and therefore were to be very minimal in foods, stressing: “They are known to also cause immunosuppression, stunted growth and liver cancer”. In combination with people living with hepatitis B the risk of hepatocarcinoma is high, according to Dontoh. He also said the presence of the toxins in food has affected export from Ghana since commodities have been rejected entry into the European Union because the levels were too high. But he said: “There are several mitigation measures to be used to eliminate, reduce or minimise the levels in our foods and these have to be employed by all stakeholders to ensure a drastic reduction in this menace”. The GSA launched the NASAM project largely seeking to combat the aflatoxin problem by embarking on a sensitization campaign to disseminate information on aflatoxins and provide solutions.